Of the 28 races at the 2019 Cheltenham Festival, the one contest that will rise above the rest is the Cheltenham Gold Cup, which is sure to attract a stellar line-up with both Britain and Ireland unleashing some of their star performers over fences, but only horse can prevail on March 15. Presenting Percy, Clan Des Obeaux and last year's winner Native River are currently heading the betting for the showpiece race, but this year's renewal will prove a wide open affair as most of the competitors have failed to sparkle at the highest level this season, so there could be some lively outsiders that finish in the places for what should be a marvellous contest. We pick out THREE big-priced contenders that could outrun their lofty odds and will certainly be a lively challenger for the coveted National Hunt prize. Somewhat the forgotten horse in the Cheltenham Gold Cup market, Thistlecrack was last seen chasing home Clan Des Obeaux in a thrilling finish of the King George VI Chase at Kempton Park. With the Paul Nicholls-trained Clan Des Obeaux going on to be a top class performer over fences this season and currently sitting as second favourite for the Gold Cup, then Thistlecrack's Boxing Day performance should be boosted significantly. The 11-year-old has winning form at the Cheltenham Festival having cruised to Stayers' Hurdle glory a few years ago, so if Colin Tizzard can just manufacture a little improvement out of him from that Kempton run then he is a major contender at 16/1. He hasn't been seen since Boxing Day, so that is a slight concern, while his ability to stay the Gold Cup trip could see him touched off by a stronger stayer, but with a fair few competitors ahead of him in the market failing to sparkle this season then the veteran must be classed as a lively player. Willie Mullins is still searching for a first Cheltenham Gold Cup crown, but in Al Boum Photo he has a classy performer that could shock a few of his rivals in the 2019 renewal on the final day of the Cheltenham Festival. A faller in last year's RSA Chase, Al Boum Photo bounced back with a Grade 1 win at Fairyhouse to show he can perform at the highest level. 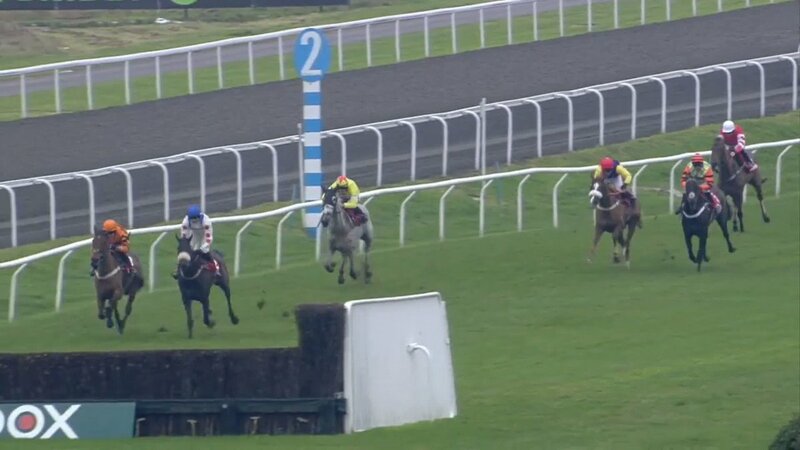 He then was part of one of the most dramatic finishes in Jumps history as when in front in a Grade 1 event at the Punchestown Festival his jockey Paul Townend veered off course with the race at his mercy and Al Boum Photo ran out. A comfortable winner of a Listed event at Tramore last month showed Al Boum Photo is still firing on all cylinders, and he could prove to be a huge contender for Mullins on March 15. Last season's JLT Novices' Chase winner, Shattered Love is being lined up at the Cheltenham Gold Cup by her trainer Gordon Elliott. A seven-length winner of that 2m 4f Grade 1 last year, Shattered Love will be in receipt of a weight pull from her male adversaries in the Gold Cup. It's interesting Elliott is opting for the Gold Cup over the Ryanair Chase, so he must have every confidence her stamina will see out the energy-sapping trip. A second place finish in the John Durkan Memorial Chase is her best performance this season, and a repeat of that effort should see her be competitive. A poor run in the Savills Chase has seen her price drift to 33/1 for the Cheltenham Gold Cup, but she is certainly a mare that comes alive at Prestbury Park, and if the ground conditions come in her favour then she can be a possible lively springer in a field awash with quality. Odds correct as of 11th Apr, 15:19 . Odds are subject to change.